There’s an old adage that you may have heard, “There are two types of concrete in this world; concrete that will crack and concrete that is cracked”. Concrete has been the go-to outdoor building material for ages because of its characteristics of being sturdy, durable, affordable and versatile. With being such a powerhouse material, why does it have a predisposition to crack and why can’t we seem to do anything about it? There are forces beyond our control that play a big part in why concrete has a tendency to crack. Living in the northeast, we are quite aware that our landscape goes through an annual freeze and thaw. 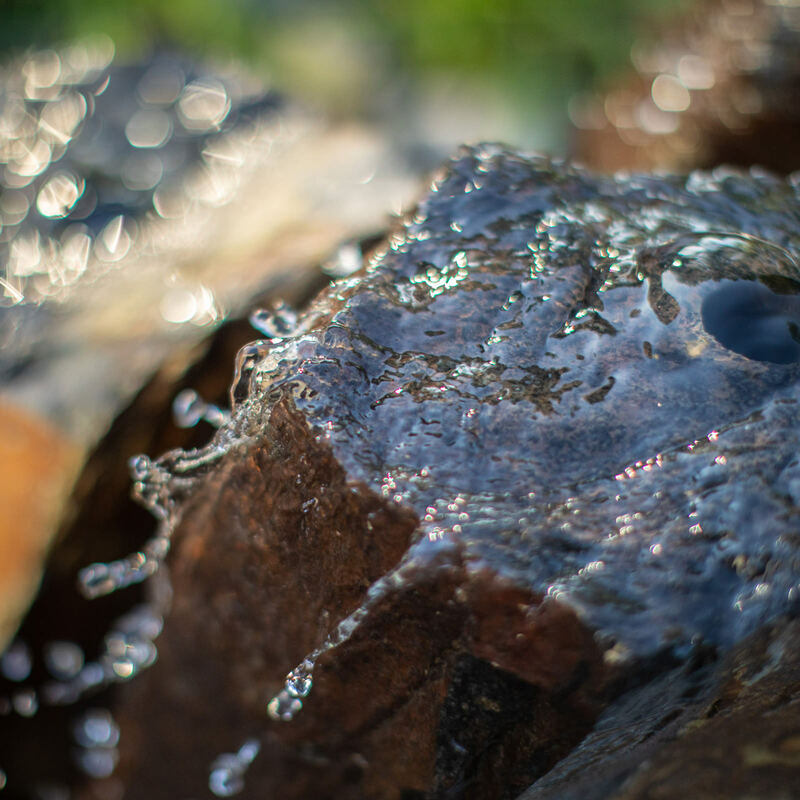 The ground freezes during the winter and thaws out in the spring, creating a contraction and expansion of the soil, which directly affects man-made hardscapes. You might think that homeowners in the southern regions of the United States don’t have to worry about their patios and sidewalks cracking, but you would be wrong. While the south doesn’t go through an annual freeze/thaw cycle like we do in the north, these regions are prone to unstable soil and disruption from root growth. With that being said, concrete does not crack because of installer negligence, but most commonly, Mother Nature’s strong will to do what she wants! As soon as concrete is mixed and poured, it starts its curing process. The concrete is set in a defined space, so when the excess water in the mix begins to evaporate, it causes the concrete to shrink while drying and ultimately form hairline cracks. These hairline cracks are not surface cracks, they typically extend through the slab. These cracks are unavoidable, but rarely do they signal a true failure in the form itself, it is just not very pleasing to the eye. Most homeowners who have concrete slabs installed for their walkways and patios are not happy about investing in a material that is going to crack, so how can they get around the issue? If cracks can’t be completely eliminated, the best bet is to hide them! Control joins, or relief cuts, in concrete are crucial to keep these inescapable cracks to a disguised minimum. Control joints are strategically cut in the surface of the concrete to provide a weakened location across the span of the concrete for the cracks to form. When looking at a stamped concrete patio, it is almost impossible to find the cracks, unless you are really inspecting and trying to seek them out. The texture of the stamped concrete, along with the custom color blends and the relief cuts are all carefully though out before installation to make sure that the end result will be as beautiful and functional as the client expects it to be! 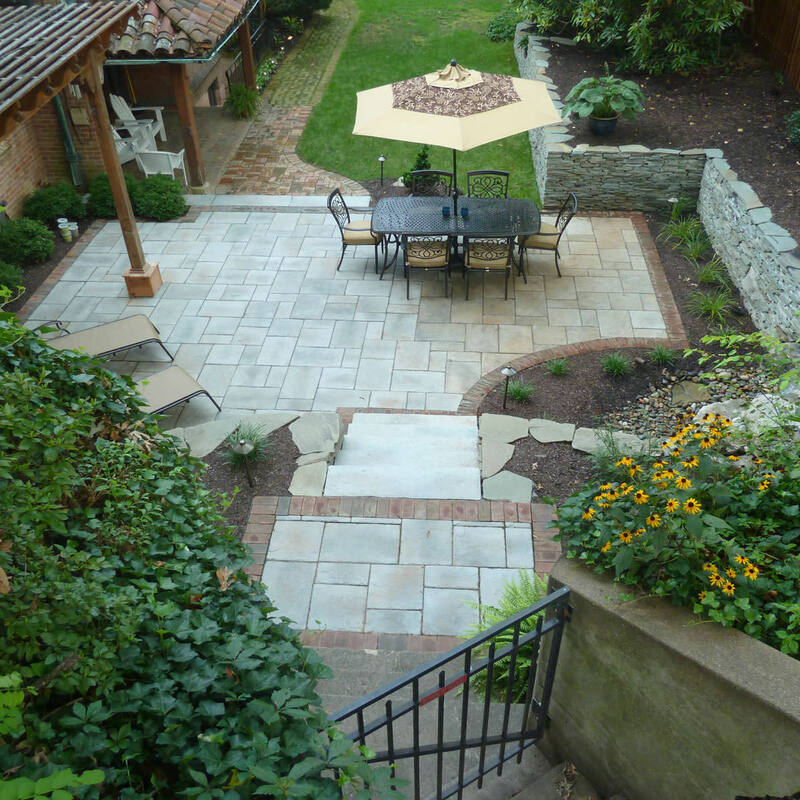 Stamped concrete is as durable as gray slab patios and walkways, but enhanced with a more aesthetic value! 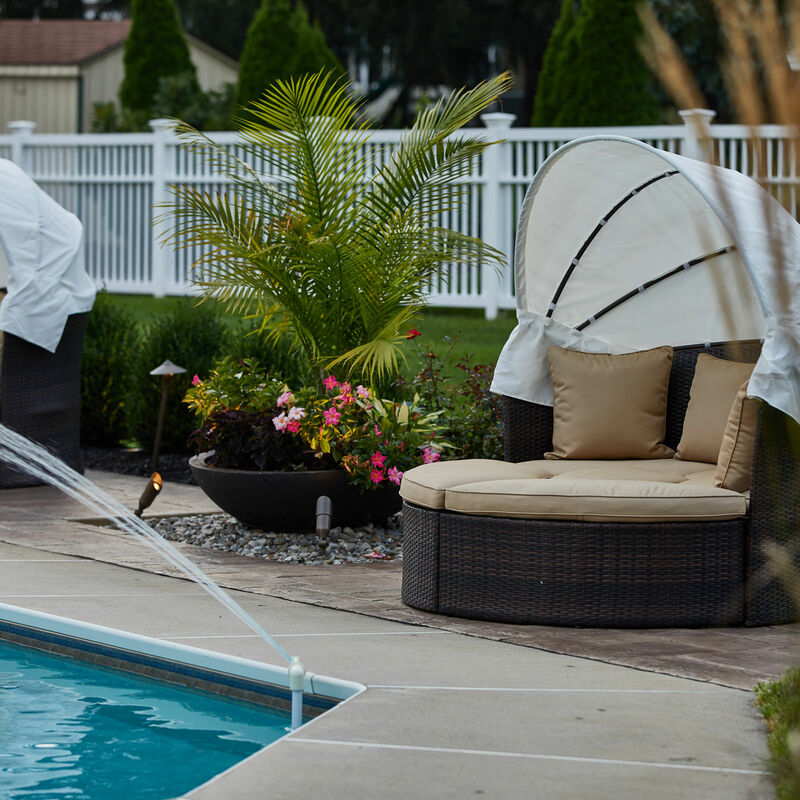 The colors, patterns and textures to choose from will truly make your backyard hardscape a custom feature to your home. Stamped concrete is also more versatile than slabs because they can be mimic different materials such as natural stone or slate. In the long-run, it is safe to say that concrete, whether be slab or stamped, is not going anywhere. The sheer efficiency and adaptability is enough to keep the concrete trucks rolling down the road. Since we have established that cracks in concrete are inevitable, another thing is for certain, you will benefit greatly from taking the time to research and hire a professional to do the install. From preparing the base, to mixing, pouring and cutting the concrete, a professional knows best! If you are not sure what you would like to see in your own backyard, contacting a landscape designer is in your best interest. 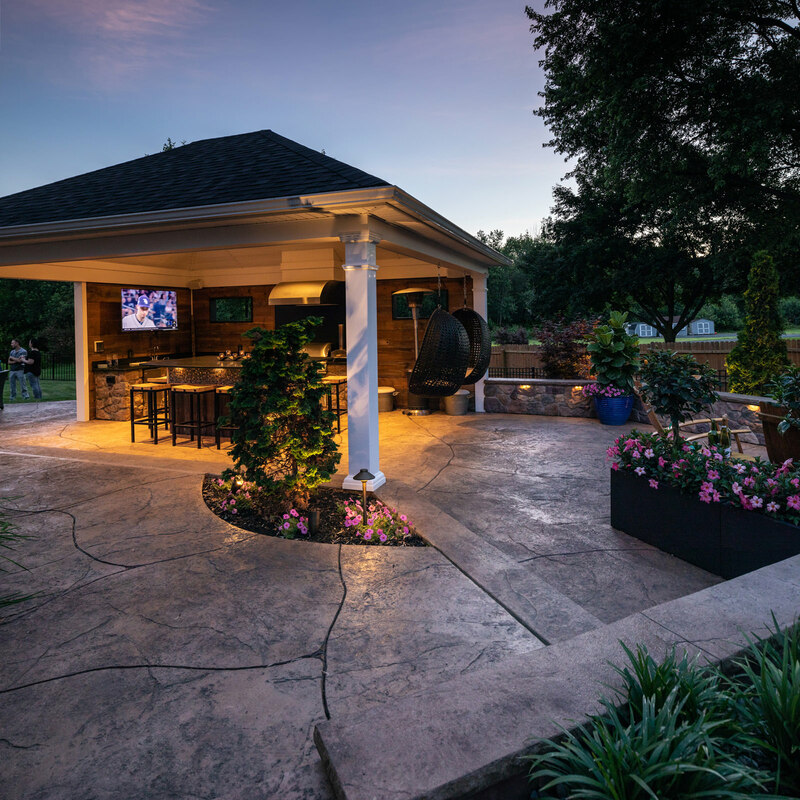 MasterPLAN Landscape Design can help guide you in the right direction from your property, so that your backyard solutions are custom-tailored to fit your family! We realize that not every property is the same and every family has their own unique preferences and tastes. For this reason, we take the time to get to know our clients first before any work begins. We are enthusiastic about developing your needs into a master plan that ensure your successes come to fruition. If you are looking for a company that is passionate, professional and caring, reach out to MasterPLAN to become a part of our family!